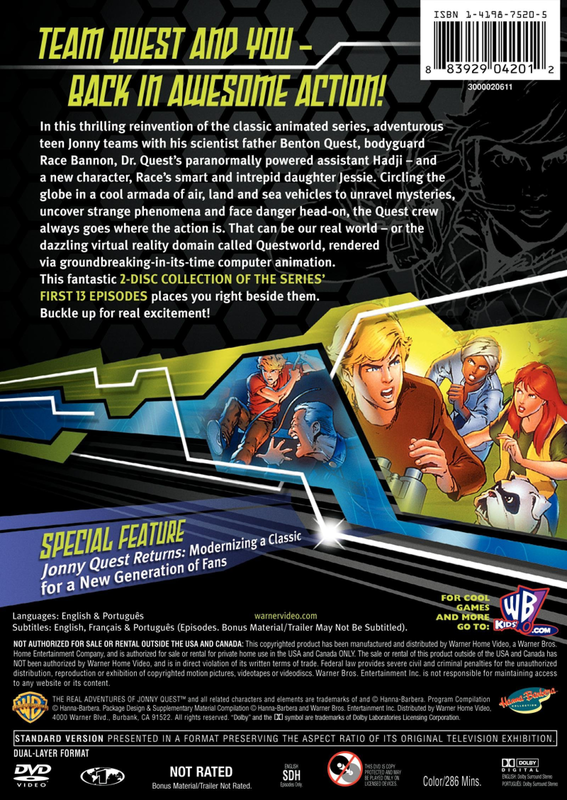 Jonny Quest is the son of Dr. Benton Quest, and a good friend of Race Bannon, Hadji Singh, and Jessie Bannon. An adventurous, impulsive youth, he accompanies his father's phenomenology experiments with relentless curiosity and positivity. He keeps a pet bulldog named Bandit and plays drums (as shown in Cover-Up At Roswell's Quest Compound backgrounds). He often tackles tough situations with straight-on action, contrasted to Jessie's careful intelligence and Hadji's fatalistic approach. Rarely if ever obeying his father's wishes to stay put, he explores with charming alacrity, and identifies with Race Bannon's man-of-action lifestyle. He'll do whatever has to be done. At least, he'll try. He does, of course, remain a young boy. He will not be able to out-think a brilliant physicist, or physically overpower an athletic adult opponent. Under these circumstances, he must resort to wit and cunning; to go around the problem rather than confront it head on. Jonny does not dwell on the fact that he has no mother. That's the way it is and he gets on with his life. There's never any doubt of Dr. Quest's love for his son...though sometimes he might wish Jonny was a bit more like Jessie. To Jonny, his life is a dream come true. He is super-enthused to be able to travel the world with his father, Race Bannon, and his friends Hadji and Jessie. His life is cool and he embraces it wholeheartedly. Jonny - "This is too strange for school, Hadj." Jonny - "All day is not needed when only a moment will suffice." Jessie - "You've been hanging around Hadji too long." Jonny - "'Open Sesame' is the password? Who's the genius; Ali Baba?" 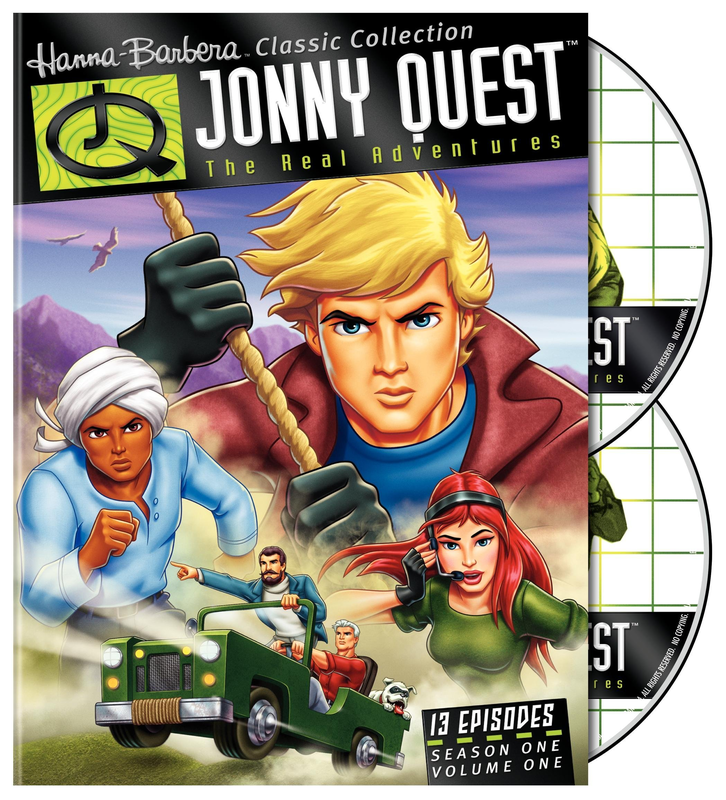 Jonny - "National Geographic, here comes Jonny Quest!" Jonny - "This is too strange for school, Hadji." Jonny - "Slammin'! And I mean SLAMMIN'!!" Jessie - "Maybe those burglars weren't even human!" Jonny - "Okay, time-out. This is too tall for TV, Jess. We've got to talk to dad." Jessie - "How many hours did you say you've flown with my dad?" Jonny - "Hey, even monkeys fall from trees!" Jessie - "What's that supposed to mean?" Jonny - "Ask Hadji. It's one of his." Jonny - "Ahoy, lubbers! The A-team's here!" Jonny - "Should I tell her my dad just saw Apollo lose his head?" Dr. Quest - "If it hadn't been for Hadji, my skull would be in pieces too." Jonny - "I doubt it, pop. You've got a pretty hard head." Jessie - "Jonny, you idiot!" Jonny - "What? What did I do?" Race - "I feel so helpless. And what if Jessie does, too?" Jonny - "Helpless isn't a word I would use to describe the Bannon family." Jonny - "Jeez, Jess. I guess all that Bannon hot air finally came in handy. Man, am I glad you're all right." Jessie - "You don't know what you're missing, Hadj." Jonny - "On the other hand, who knows what we're missing? Who knows what's going on in there when Hadji's meditating?" Hadji - "Oh, this is very bad, my friends. Race is between this life and a parallel existence. There is a river between these two realities. Anyone crossing that river is lost to us forever." Jonny - "Where do you come up with stuff, Hadji?" Jonny - "Wow...No wonder your mom took you here for vacation, Jess. This place is...cool." Jonny - "Race told me once that real courage is about fighting back especially when you're scared." Jessie - "Dad said that? He's not afraid of anything!" Jonny - "Well, he's still only human! We'll get through this together. I promise!" Jonny - "We gotta move, Hadji!" Hadji - "How do you know how to drive one of these?" Jonny - "Tank Leader 2! Highest score every recorded." Jonny - "I hope you're calling General Axton. He'd never believe that story from me." Guard - Enjoy the daylight, boys! It'll be the last you ever see. Jonny - I've heard that one a few times. Jonny - "Why are you so upset? Because she's rich, beautiful, or because she likes Hadji?" Jessie - "There's just something...strange about her. I think I'll take a stroll to the park." Jonny - "Fine. I think I'll go riverboarding." Jonny - "Ah, ooh...You're no Bandit, Winston." Jonny - "You know, we do make a pretty good team, dad. Especially when the chips are down." Jessie - "Can't we go anywhere without running into one of my dad's ex-girlfriends?" Jonny - "Doesn't look so ex to me." Jessie - "You heard him; we have to get the police!" Jonny - "Sure thing, after we see if those flashlights work!" Jessie - "You never give up, do you?" Jonny - "Interested in the man, or the music?" Miloš - "For what? Saving my life? The pleasure was all mine." Jonny - "Tch, yeah right." Miloš (to Jessie) - "How fitting that you should find the lost masterpiece." Jonny - "Actually, it was my dog." Milos - "I really don't know how to thank you." Jonny - "Ooh, I feel another breakfast coming on!" Jonny - "Who are you calling?" Jessie - "Miloš of course. I wouldn't want him embarrassed by announcing to the world that the lost sonata is just an old fake." Jonny - "Oh, of course we wouldn't want poor Miloš to be embarrassed." Jonny - "C'mon, boy. It's time to earn your biscuits!" Miloš - "They could not face the shame." Jonny - "You mean they couldn't face the music—or give up the money." Jonny - "No! It's all lies! You're not Hadji! You're not Race!" The Pearl - "I am power! I am riches! I am everything you yearn for!" Jonny - "No, you're dust!" This page was last modified on 28 December 2009, at 00:58.